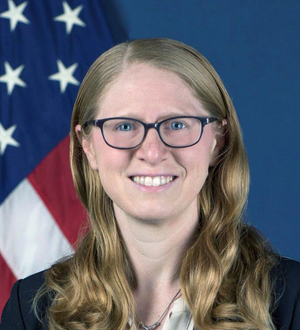 Shoshana M. Lew was appointed as the executive director for the Colorado Department of Transportation (CDOT) in December 2018. She is charged with leading the department in planning for and addressing Colorado's transportation needs, and overseeing 3,000 employees statewide and an annual budget this year of approximately $2 billion. Prior to coming to Colorado, she served as the chief operating officer (COO) for the Rhode Island Department of Transportation (RIDOT). Also, she was the chief financial officer and assistant secretary for budget and programs for the U.S. Department of Transportation (USDOT), as well as the deputy assistant secretary for transportation policy at the USDOT. Lew has also worked in other areas of the federal government, including the U.S. Department of the Interior, and the Office of Management and Budget and Domestic Policy Council within the White House. Prior to her federal service, she worked at the Brookings Institution. She is a graduate of Harvard College with a bachelor's degree in history. Lew also has a master's degree in history from Northwestern University. The Executive Management Team members are comprised of office directors, division directors, regional transportation directors (RTDs), the chief engineer, the deputy executive director, and the executive director from CDOT. The EMT reports directly to CDOT's executive director. The purpose of the EMT is to focus on high-level policy and strategic issues, as well as business improvement.